Our work conditioning program focuses on preparing patients for a safe return to work after an injury. The program includes instruction about posture, proper body mechanics, correct lifting techniques, strengthening, endurance and simulation of work tasks. We are able to simulate many work tasks. 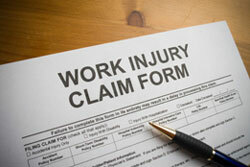 We evaluate the whole patient and teach patients how to prevent future work injuries. Our comprehensive program consists of daily sessions for up to two hours, three to five days a week.